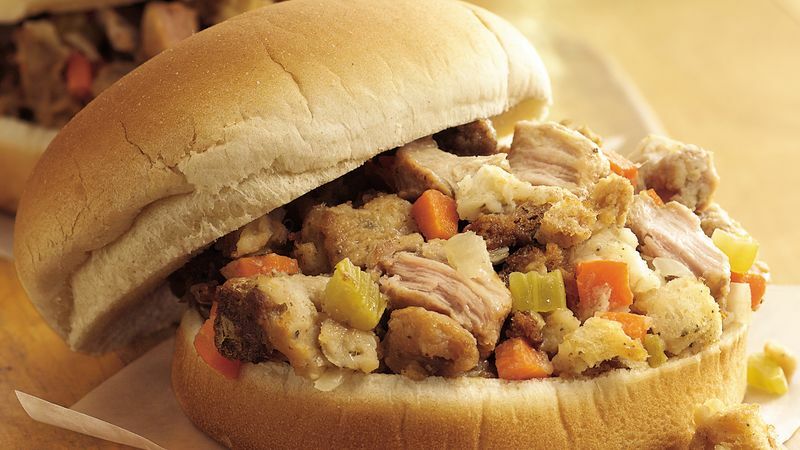 Toss all ingredients except buns in 3 1/2- to 4-quart slow cooker. To serve, scoop about 1/2 cup turkey mixture into each bun. Serve as a casserole for dinner with a little warmed gravy from a jar spooned over each serving. Simple fresh veggies and dip make a nice accompaniment. In the eastern half of Iowa and through southern Wisconsin, turkey and dressing sandwiches are eagerly devoured at wedding receptions and community fundraiser luncheons year-round.